PDF releases manifesto for the forthcoming district council polls in Meghalaya. ST Photo. SHILLONG: The People’s Democratic Front (PDF) released its Council election manifesto on Thursday at the residence of the party’s working president and Cabinet Minister, Banteidor Lyngdoh. The two-year-old party aims to strengthen the powers and authorities of Hima, Doloi, Sirdar, Wahadadar, dorbar shnong, dorbar raid and dorbar kur, to curb the settlement of outsiders. Asked on the implementation of Inner Line Permit (ILP), PDF MDC, James Ban Basaiawmoit said besides ILP other efforts such as empowering and strengthening the dorbar shnong (village council) to ensure settlement of outsiders does not take place. “We leave it to the state government to examine the matter on ILP which is for the interest of the minority communities,” he said. Lyngdoh said the government was examining the matter and any laws framed are meant for the interest of the state. “It may not be ILP but a form of ILP to protect the state and stronger mechanism will come up in the form of ILP,” he said. He thanked the Chief Minister Conrad Sangma and North East Students’ Union (NESO) who made efforts to meet different political parties to seek support for their opposition to Citizenship (Amendment) Bill, 2016. Lyngdoh and Basaiawmoit expressed concern on the Village Administration Bill (VAB) asserting they will raise the matter again when the party comes to power in the KHADC. 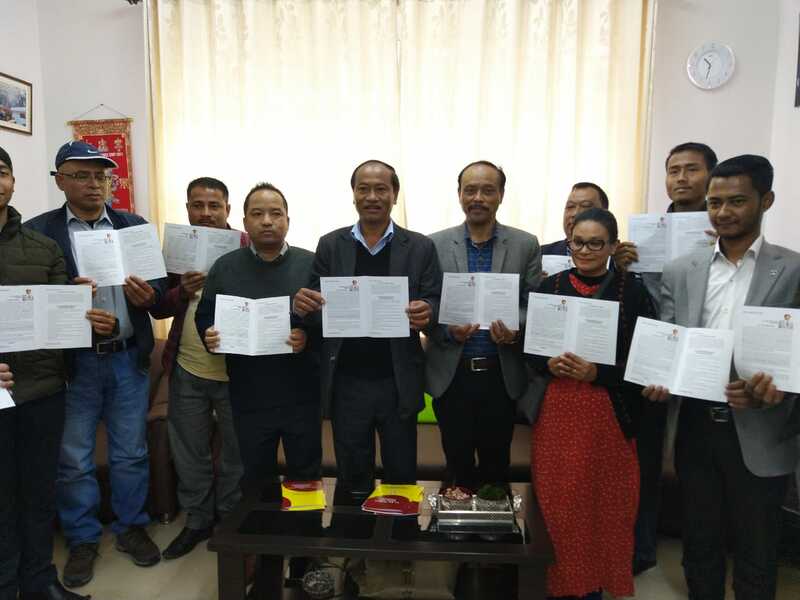 The party is fielding 24 candidates including three women candidates- 15 for Khasi Hills Autonomous District Council (KHADC) and 9 in Jaintia Hills Autonomous District Council (JHADC). Lyngdoh was hopeful of the people’s support for the party in the coming years.